‘Texture Like Sun’ is the follow up to the much-loved self-titled debut by Anglo-Mauritian producer, singer and percussionist Joseph Deenmamode aka Mo Kolours. NOD! TIP! The Guardian described ‘Mo Kolours’ as “the best album Curtis Mayfield never made with A Tribe Called Quest and Lee Perry” “This record is about cycles. From the tiny cycles of loops within songs to the broader cycle of the whole album, which is designed to take you away and bring you home again at the end. Loops within loops. Loops overlapping in different ways and shifting as they go can take you very far away. You hear it in lots of African music, in jazz and hip hop”. Mo Kolours explores this theme through both music and lyrics. ‘Pass It Round’ is about giving and receiving, and the importance of depending on others. ‘Orphan’s Lament’ is named after a Mongolian folk song, and Mo Kolours' own words urge the listener to “fall to get up again” among a set of inescapably linked opposites. The message may be optimistic or otherwise, depending on the listener’s point of view. The theme also appears in his choice of cover versions as he reinterprets songs absorbed in his youth: ‘Harvest For The World’ by the Isley Brothers and The Stranglers’ ‘Golden Brown’, from which the album title is derived. “The Stranglers are one of my earliest memories of music. I had an auntie who was a huge fan and my parents had all their records. ‘Golden Brown’ always gave me such a beautiful feeling, way before I knew what it was supposed to be about”. 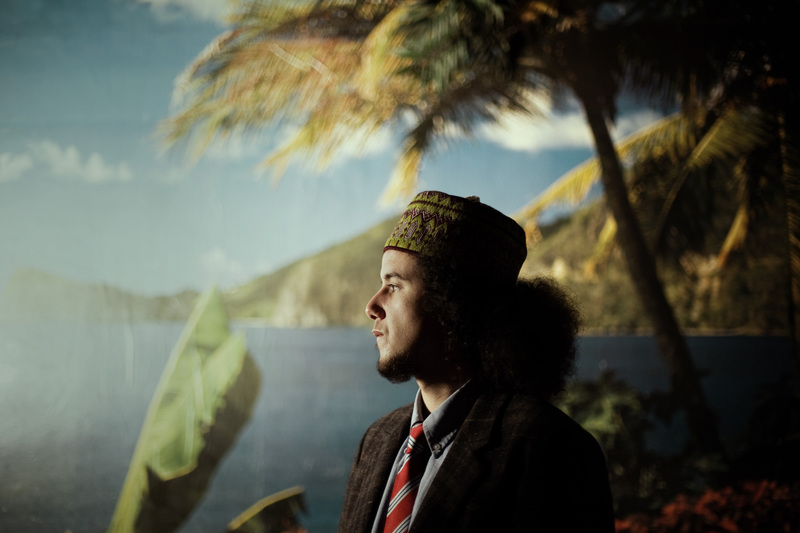 Raised on the traditional sega music of his father’s Indian Ocean homeland alongside records by the likes of Jimi Hendrix and Michael Jackson, Mo Kolours adds hip hop, dub, soul and other electronic styles to his individual sound. His approach could find him placed alongside Madlib or The Gaslamp Killer but he would be equally happy in the company of James Blake, Erykah Badu, Theo Parrish or Moodymann. “I've always admired producers who push your ear, who draw you into unexpected elements of a song. I like it when people use a minimal number of elements and find ways of making you re-engage with each of them. It can be subtle, just a drum or the repetition of a word. I was thinking about that in the arrangement of the whole album”. His energetic, improvised live show sees tracks layered up from loops of voice, percussion and drum machine before skewing in new directions. It’s a thrilling approach which has taken him to clubs and festival stages from Brighton to Brisbane, as well as to the BBC’s hallowed Maida Vale studios at the invitation of Gilles Peterson. 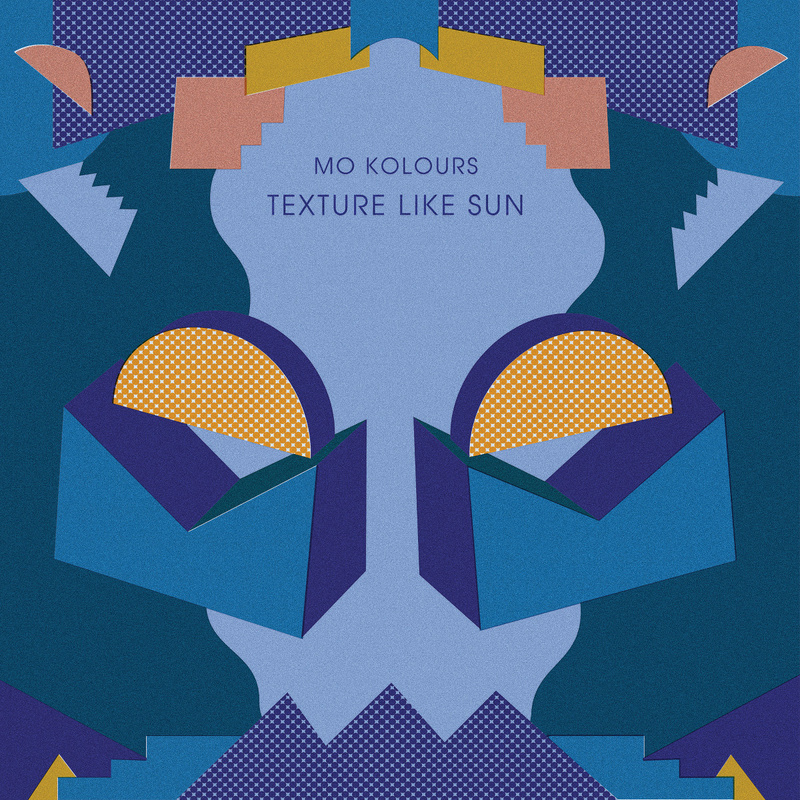 Mo Kolours will be touring widely in support of ‘Texture Like Sun’.